As a former Marine an AR-15 is a natural choice for a self defense weapon. The layout of the weapon is second nature and the methods dealing with failures to fire are burned into my brain and muscles. However, 5.56 does leave something to be desired in the area of immediate stopping power. True if you get a hit center mass it is almost certainly lethal, but not necessarily always immediately. The US experience in Mogadishu (you've probably seen "Blackhawk Down") showed many of the aggressors took multiple shots to kill. This is what lead the special operations community to seek a higher power round capable of utilizing existing M4/M16 lower receivers and mil-spec M16 magazines. 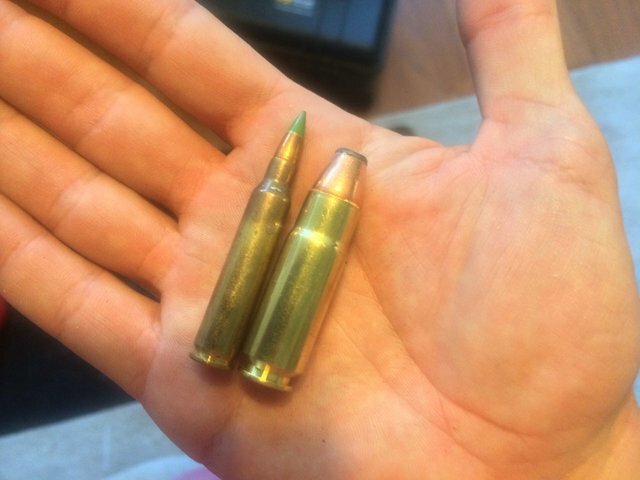 The .458 SOCOM was the outcome. Which meant me acquiring one was the next outcome. As you can see they single-stack in a standard mil-spec magazine. Officially it single stacks 10 rounds, however some of my mags I've been able to fit as many as 12. 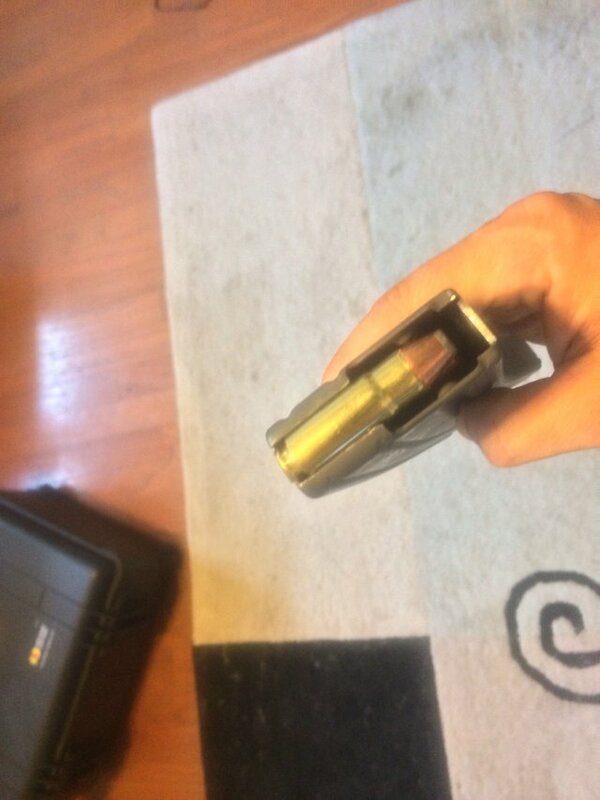 I haven't bothered to try but I understand there can be feed issues when using composite mags such as Magpul PMAG magazines. And here's the result of the soft tip ammo (the solid brass is hard to get sometimes and expensive... not target shooting with it). This is in an approx 3/16" thick old rusted steel fuel tank. 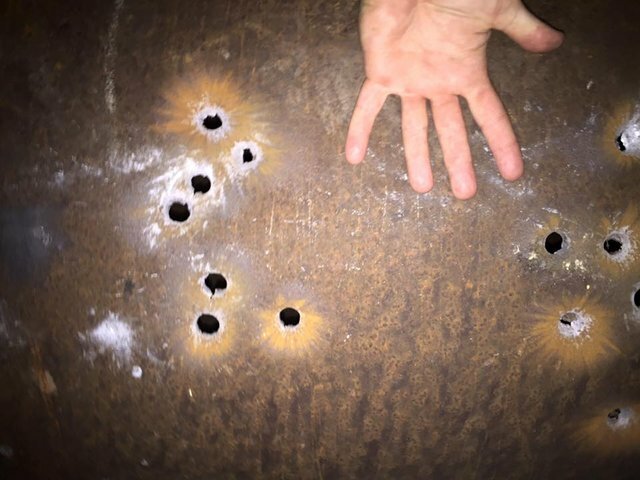 The white marks to the left of the holes are 9mm and .45APC from approx 25 yards or less. The SOCOM rounds penetrated the front and back of this tank. 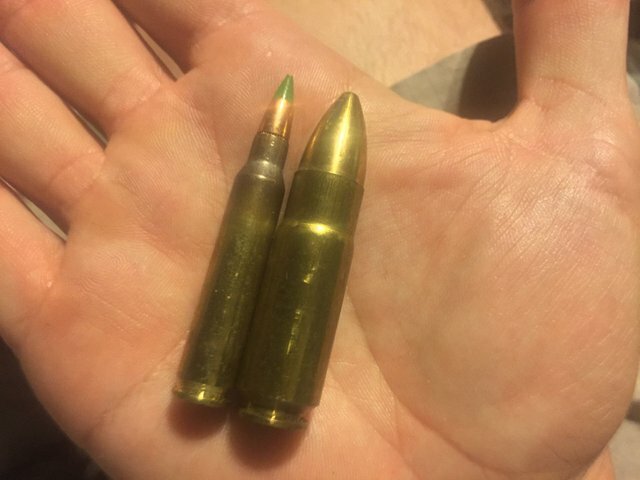 M855 5.56mm steel core penetrator rounds penetrate the front face but not the rear. I hope you enjoyed this article! If you liked it give it an upvote. If you loved it follow me @hunterisgreat. If you hated it, provide me some constructive feedback! Thanks! I'm right there with you brother. The AR platform is a natural fit for me. I have considered going with something a little different, and I've been eyeballing that TAR-21 for a while, but I'm not gonna have the dough to cough up for it for a while yet. For an AR platform the .458 is a beast, for longer ranges I would go with 7mm Rem Ultramag or .338 Lapua. 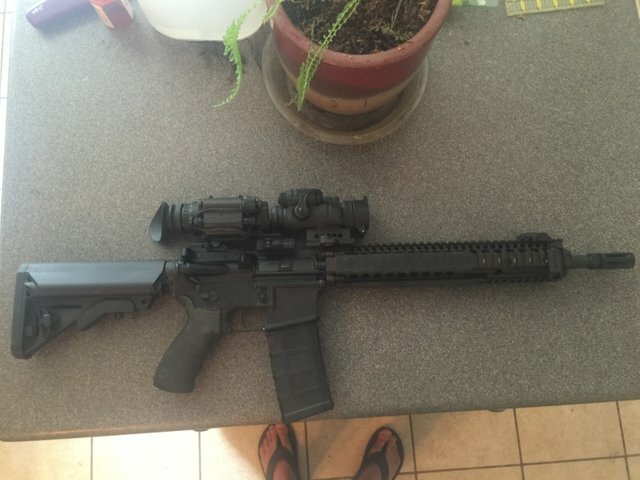 To stay on the AR format I got a 24" match grade floating 5.56 upper. It has a 4-16x50mm Burris Optics Eliminator III LaserScope. 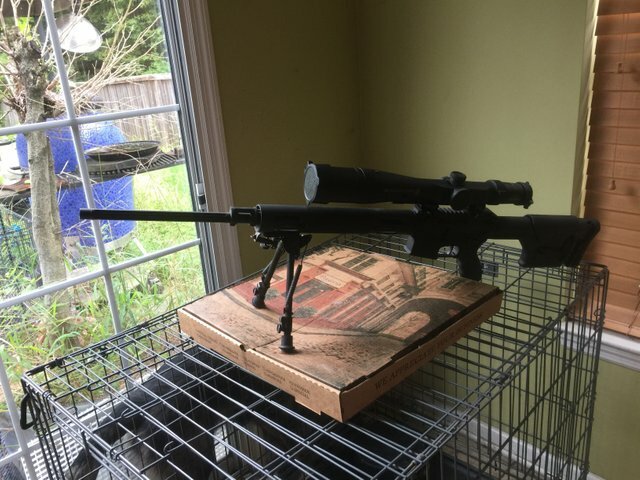 With the correct setup and correct ammo it can easily shoot farther than I'm capable of. That's beautiful, any upgrades to the trigger group? I laugh when people say that AR platform rifles serve no practical purpose other than as a "man killer". I see a good hunting rifle right there.